What’s the most important piece of equipment on any piece of fire apparatus? 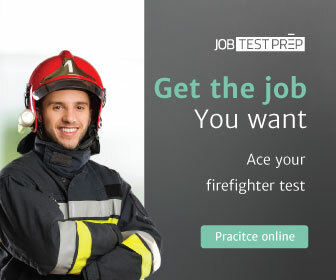 If you answered “The firefighters” move to the head of the class. Emergencies in confined spaces (e.g., tanks, vessels). During these types of events, and particularly during interior structural firefighting, the SCBA unit can be exposed to a toxic “soup” of chemicals, chemical compounds, and known carcinogens while it protects the firefighter’s respiratory system from those same hazards. And while much is currently being discussed and written about how to protect firefighters from those hazards, there is much to be learned about how to keep SCBA units clean and decontaminated after each use and ready for the next emergency. The original SCBA units of 50 years ago were little more than a tank of compressed air, a regulator, a mask, and a backpack harness to put it all on a firefighter. Think “caveman-level” technology. Visual and audible alerts to notify the incident commander of a high-flow condition (e.g., heavy breathing or free flow) or no-flow condition from a firefighter’s SCBA during a full-alarm PASS activation. Visual and audible alerts to notify the firefighter and incident commander of impending electronics degradation due to elevated temperature. emergency operations, especially following interior structural firefighting. Before the days of exposure to the toxic chemicals, chemical compounds, carcinogens, and soot, aka, the “toxic soup” produced by today’s structure fires, SCBA could be adequately cleaned with a good soft-bristle brush, a bucket of soapy water, and a water hose to provide the final rinse. But that’s no longer the case. That “toxic soup” has become more lethal as the production of building materials and building furnishings has steadily moved from natural materials towards synthetic materials (many of which are petroleum-based). Also, the fire service is learning more about the connection between that exposure on the fireground and the increased risk for firefighters to develop cancer from occupational exposure. Today’s SCBA cleaning and decontamination challenge is this: How to be both efficient and effective at removing those toxic materials—particularly soot particles—from what has become a very complex piece of equipment with both mechanical and electronic components? Reduced health risk because there’s no need to disassemble the SCBA unit. Using a Solo Rescue®heavy duty washing machine prevents exposing the crew to combustion gases, soot particles, and toxins released in the cleaning and decontamination process. Save time. Thoroughly cleaning one SCBA unit by hand can take a half an hour or more depending upon the level of cleaning and decontamination necessary. The Solo Rescue® takes less than eight minutes to complete its cleaning and decontamination process. You can clean your entire fire company’s used SCBA in less than an hour! Easy to use. Simply load your equipment, choose one of two wash programs (SCBA or gloves/helmets), and push the START button! More about that glove and helmet wash program. You likely have a washer/extractor that’s designed to clean the firefighter protective coat and trousers, right? But how are you cleaning the other components of the firefighter protective ensemble (e.g., helmet, gloves, boots)? Per Liberg, Business Area Manager, RESCUE INTELLITECH Inc. Going to #FDIC2019 next month in Indianapolis? Be sure to stop by and see the SoloRescue SCBA Decon Washer at the RESCUE INTELLITECH Inc., Booth #9529 in the Exhibit Hall!